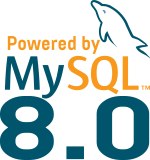 MySQL InnoDB Cluster: how to handle performance issue on one member ? Sometimes when you are using a MySQL InnoDB Cluster, you might encounter some performance issue because one node becomes dramatically slow. First of all, why ? A node can apply the transactions slower than the other nodes for many different reasons. The most frequents are for example, slower disks (remember, it’s advised to have nodes with the same specifications), but if you are using a RAID controller with a BBU, during the learning cycle, the write performance can decrease by 10 or even more. Another example could be an increase of IO operations that will flood the full IO capacity of the system. Making a local backup or sharing the server resources with some other components could lead in such behavior. To avoid to have a node lagging to much behind and try to sustain the same throughput all over the cluster, Group Replication uses a flow control mechanism (see this post to understand how it works). In summary, when a node as an apply queue increasing and reaching a threshold, the other ones will slow down the amount of transactions they commit to let the slowing member the time to recover. But in such situation, is there something I can do ? So when this happens (expected or not), how should our cluster behave with that member ? If you are using ProxySQL as router for your MySQL InnoDB Cluster, as soon as the threshold of transactions_behind is reached, ProxySQL will automatically stop sending traffic to it (see this post). If you are using MySQL-Router, actually the best way to handle this is to add a firewall rule blocking the communication between the router and the MySQL instance running on that member. Now that this node won’t trigger any flow control anymore, the cluster will run as its optimal speed and this provides you extra time to fix the problem or finish the maintenance. The node is still part of the cluster !… it’s just lagging and nobody cares. That’s why in a multi-primary setup, it’s recommended to not write to it as conflicts may happen very often and as it’s lagging, reading old data might also not be optimal. As soon as the maintenance is finished and the queue recovered, you can set it back to ‘QUOTA’. This feature works as expected in 8.0.3, on lower releases the statistics were not completely ignored and flow control was kicked anyway. Can you please help us with following issue?